There are a lot of people who have been wondering where I am, where I’ve been and why I haven’t been at many of the cycling races that have been going on in Southern California since early May. I made a brief appearance at the Tour of California as a fan, but other than that I haven’t been covering any of the racing here at all. So, when I got some concerned texts and e-mails asking if I was still working it was kind of expected. To give a little bit of a back story, for the three years Corey Keizer Photography has been in business I’ve been covering cycling pretty heavily. This is for two reasons. First, I love the sport, and second I’m fairly well connected in the industry. So reaching out to prospective clients isn’t so much a cold call as it was a call to someone I’m familiar with. While I love cycling, it’s a narrow niche sport that, outside of Lance Armstrong and the Tour de France, isn’t highly relatable for the larger American audience. While I’d love to be able to shoot the way I do and only shoot cycling and make the kind of money I’m accustomed to, that just isn’t realistic. Thus, over the past couple weeks and through to the beginning of July I’m shooting portfolio projects almost exclusively. The goal is to shoot content that appeals to a more general audience, content that is more mainstream fitness and lifestyle work. Over the coming weeks I’ll share some of that content and stories from the road here for you to check out. 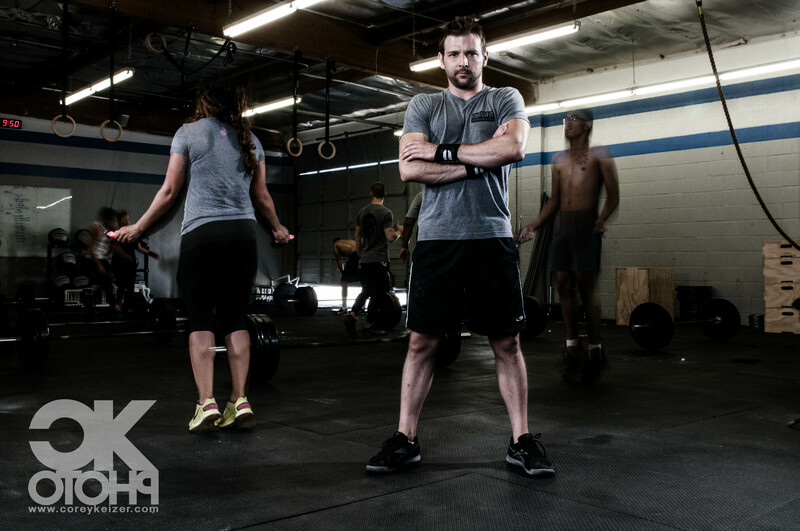 This past week I shot with some friends at CrossFit Woodland Hills just out side of Los Angeles. 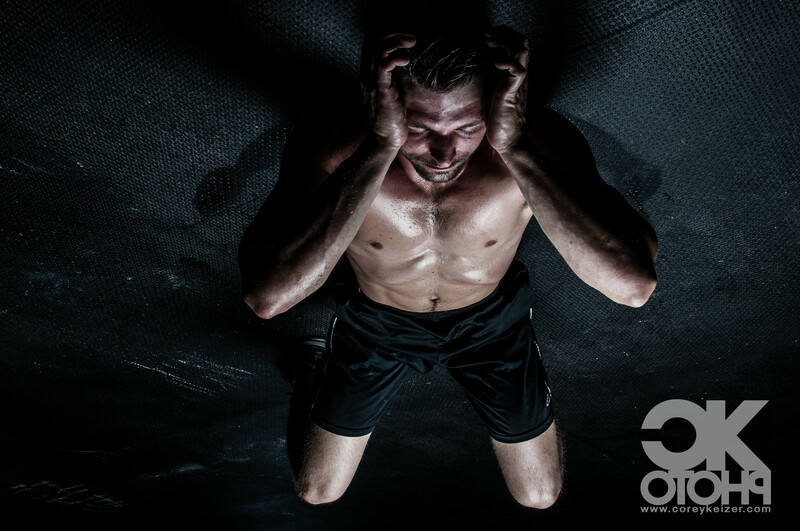 While CrossFit is a young sport that is a narrow niche like cycling, many of the elements are more mainstream and thus the crossover is better. Push ups are always more relatable. I have to thank Tyler and Chad at CrossFit WH, those guys are studs. If for nothing else than dealing with my constant “Coaching” through the shoot. Here’s a couple edits from the shoot. This was the shot that the shoot was based around. A portrait of Box owner Chad, while the action of a class was going on. Tyler doing what I think is called a “Rebel Row”. 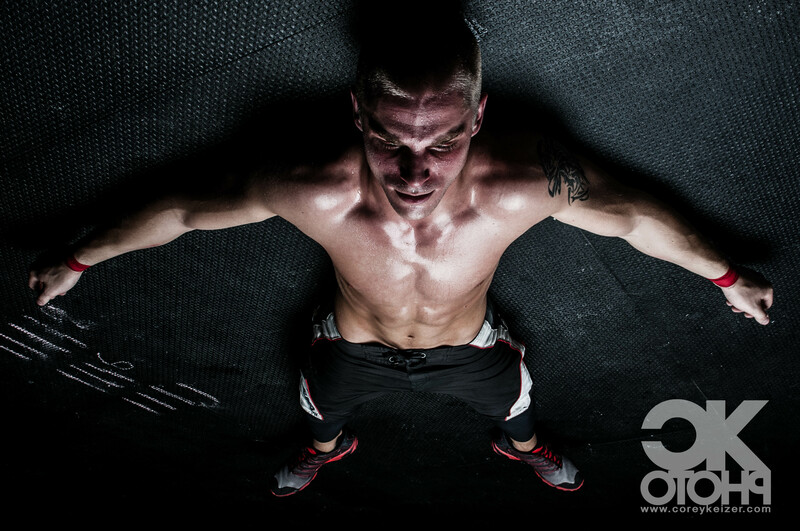 The two next shots stem from the “Hitting the Wall” concept in fitness and sports. I’ve hit the wall a lot when I’m working out, and I’ve always wanted to explore what that might look like in a photograph. These pretty much sum it up. So I’ve been working, a lot actually and it’s been pretty awesome. While I’m expanding outside of cycling I’m definitely keeping to what I love best, which is sports and fitness and the outdoor lifestyle. Make sure to stop by in the coming weeks for some outdoorsy, mountainy stuff that we’ll be shooting soon! 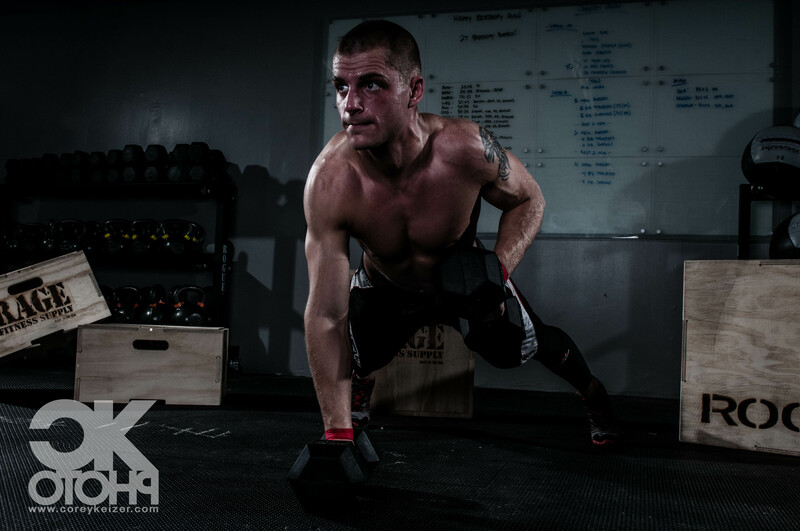 This entry was posted in Photography, Portfolio and tagged Action, CrossFit, Environmental Portraits, Fitness, Photography, Portfolio, Sports. Bookmark the permalink.